As all of us in the Boston area have been aware of the recent tragedies and the seemingly never-ending media coverage, we are finding ways to cope with the stress and the aftermath of the events. During times like these, it is more important than ever to remember to be extra gentle with ourselves. Taking a walk, eating well and listening to your body are all parts of that special care. Massage therapy can help manage stress through decreasing anxiety, giving us greater energy, reducing fatigue, enhancing the quality of our sleep and improving concentration. Many of our clients tell us that they have a better sense of clarity and perspective after a massage session. Remember that bodywork provides emotional balance as well as physical benefits. 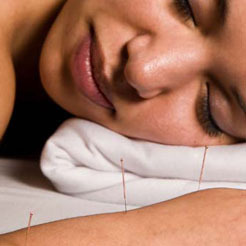 Acupuncture can also help by promoting healing and re-establishing energy flow, which can settle the mind and the body. If you feel like massage therapy or an acupuncture appointment would help, please give the office a call to schedule a session.